Great CPU, automatically clocked to 4.07Ghz on my computer. Absolutely amazing. Easy to install, and games very well! 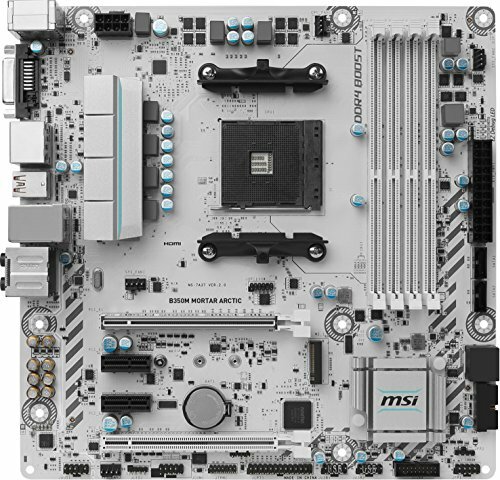 Great motherboard, came with two sata cables and works well. The EZ Debug lights saved me from getting a new mobo, and showed me that my CPU had no power, which I fixed by plugging it in! Work really well. I got them in white, and they look dope af. Does its job well, and fast! Bought it before my build and put it in my old PC. It saved that PC for the last 6 months of its life. Still haven't found a single game where this card wont do 1080p 60fps Ultra. This made it so easy to manage cables in my build, and it is really good for the cost!. Cool build! The only question I have is: Why did you go with that PSU? This build doesn’t even need 300. For expand ability I would’ve gotten a 500 or 550. 750w is overkill. I wanted a fully modular 80+ gold power supply, and at my local store this was the cheapest option in stock when i bought the parts. Also possibly looking to upgrade in the future, so good to have that safeguard. I know. Cable management is not my strong suit. If i want to overclock, or it is getting really hot/thermal throttling, i will sort it out but at the moment, I don’t see the immediate need to. I will maybe sort it out when i open it in a few months to clean out dust. I am just glad i got the modular PSU, or it could have been a lot worse. I just spent a few moments fixing up the cable management. It looks (and runs) a lot cooler now. Did the board already come with the latest bios, or did you have to personally update it? I got the store to bios flash it, but it probably would have supported my CPU out of the box, as the BIOS revision that allowed it to use my CPU came out on the 3rd of march. Still get your store to flash it though... best to minimize risk. Can you please put in benchmarks for games like PUBG or GTA5?